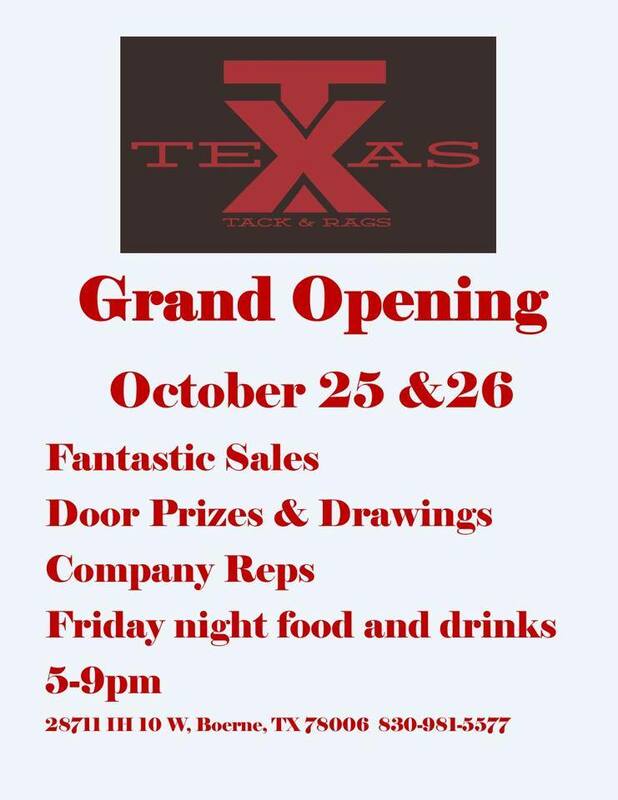 This weekend marks the grand opening for a great new western store in the San Antonio area–Texas Tack and Rags. This evening (Friday, October 25 from 5 p.m. to 9 p.m.) they are having a party to celebrate the opening with food, drink, sales promotions and brand representatives. As a testimonial, I have already been to the store and they have the quality western wear and tack that cowboys and cowgirls will really appreciate. I am really picky about my hats and they have an awesome hat selection that meets my even my discriminating tastes. Texas Tag and Rags also has one of the best hatters in the business-Juan Machorro. If Juan is not your “go to” guy for hats, you are missing the expertise and service you deserve for your money. I was also very impressed with the quality, variety and size availability of their boot collection which features Anderson-Bean. They even had boots in my size 13EE (this is a rarity anywhere in the western business). Come by this evening as see the best thing that has happened to western wear in the San Antonio area in years. Directions from San Antonio: take IH-10 westbound, exit Fair Oaks Parkway, cross over the highway (left) to the IH-10 service road and turn right on the IH-10 service road continuing west, the store will be on the left hand side. Directions from Boerne: take IH-10 eastbound, exit fair Oaks Parkway, turn back on the service road heading back West, store is on left hand side.